The restaurant and food service industry in Mississippi takes in $4.4 billion in sales and employs over 123,300 professionals. Another 12,000 jobs are expected to be added by 2026, a growth of over 9.7%. Highly skilled and educated culinary professionals are needed to fill those positions and earning a certificate or degree in culinary arts is a great way to get the education and experience hiring professionals desire. We created a list of the top 10 best culinary schools in Mississippi. 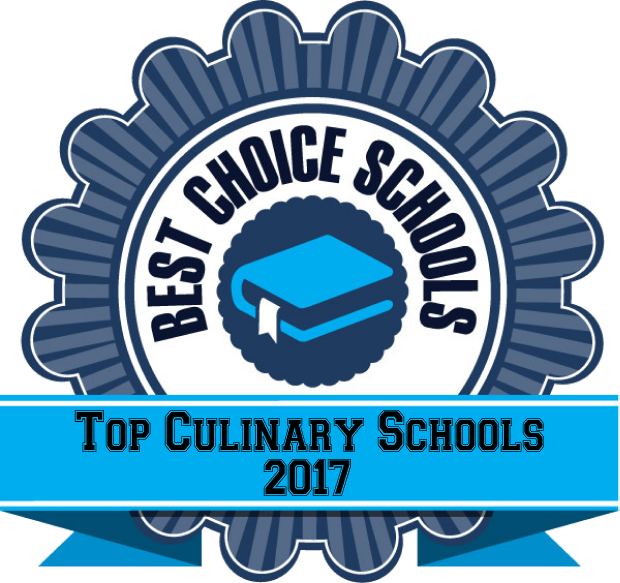 Schools selected for our list offer a variety of certificates and degrees in the culinary arts and related fields. The best culinary schools offer a variety of coursework, a low student to faculty ratio, a professional work setting, and internship opportunities. Selecting a quality culinary program is not a decision to be taken lightly. It is important to select a school that meets your professional and personal needs. Meridian Community College features both an AAS and Certificate in Culinary Arts Technology. Students have the opportunity to experience a state-of-the-art commercial kitchen learning environment. Courses cover techniques and preparation of both American and International cuisine. This top culinary school emphasizes the use of proper culinary equipment, fresh ingredients, and culinary tools. The Certificate program is a one-year program giving students the opportunity to learn principles related to baking, catering, dining room management, sanitation, and safety. The AAS program can be completed in two years and includes general education courses in addition to specialty culinary coursework. A supervised work experience is required of both programs, allowing students to gain professional experience in the field. Mississippi Delta Community College offers an AAS and Certificate in Culinary Arts for students who want to develop a solid foundation in the field. Students learn the art of making baked goods and pastry, as well as a variety of cuisine including classical and American. Learning takes place in a state-of-the-art commercial kitchen that is fully equipped with culinary tools and modern equipment. Students can earn their certificate after completing culinary coursework while those who want their AAS degree can continue on taking their general education requirements. East Mississippi University is a top culinary school featuring an AAS Degree and Certificate in Culinary Arts. Students can earn their certificate in just one year, taking coursework specific to the area of culinary arts such as baking, garde manger, restaurant operations, and sanitation. Students complete two supervised work experiences as part of the program. The AAS program can be completed in two years and includes advanced coursework such as menu planning, International cuisine, and marketing. Culinary students have access to a state-of-the-art commercial kitchen classroom with all the latest in culinary technology. Northeast Mississippi Community College features a Culinary Arts Certificate that can be completed in just one year of study. Students learn a variety of culinary techniques to prepare both American and International cuisine. A state-of-the-art commercial kitchen serves as a hands-on classroom where students can gain experience and master their technique. A supervised work experience is required as part of the program, allowing students to obtain professional work experience. Graduates of the program who complete ManageFirst courses and pass their certification exams are eligible for ManageFirst Certification from the National Restaurant Association. The Culinary Arts Institute at Mississippi University for Women is a top culinary school featuring state-of-the-art instruction and a comprehensive curriculum. Students can select from one of five different areas of emphasis including Food Journalism, Food Art, Nutrition/Wellness, Entrepreneurship, or Culinology. An internship experience is a part of this program and students have the option to apply for an international internship. Mississippi University for Women is the only school in the state offering a BS degree with a major in culinary arts. Jones County Junior College is a top culinary school featuring two different culinary programs for students climbing the professional career ladder. The AAS degree program can be completed in four semesters of study while the Certificate can be completed in just two semesters. Students learn both food preparation skills as well as management skills throughout the program. The AAS program includes on the job training to gain professional work experience. Hinds Community College offers both an AAS and a Technical Certificate in Culinary Arts. Students have access to a state-of-the-art commercial kitchen laboratory that includes convection ovens, commercial ranges, steamers, ice-cream makers, and pasta rollers. Students learn techniques to prepare both International and American cuisine. Hinds has partnerships with many different restaurants in the industry such as Waffle House, Chic Fil A, EatHere Brands and Mangia Bene Inc. Restaurant Management Group. Graduates of the program are able to obtain ServSafe Sanitation certification from the National Restaurant Association. East Central Community College offers three different culinary arts programs to meet the needs of students at every level of the career ladder. The 30 credit hour Culinary Arts Career Certificate can be completed in just one year and provides students with a basic culinary curriculum to get them ready for entry level culinary positions. The 45 credit hour Technical Certificate is an 18-month program that teaches students more advanced culinary skills. Students can continue on to complete their general education courses and earn their AAS degree if they choose. Students in the culinary arts benefit from hands-on instruction and a state-of-the-art learning environment. Instructors expect students to look and act professional by dressing for success in chef’s uniforms and having a positive work ethic. Coahoma Community College is a top culinary school offering an AAO degree in Culinary Arts Technology. Students complete a variety of coursework including culinary principles, baking, hospitality supervision, sanitation, menu planning and design, and American Regional Cuisine. The program can be completed in two years of full time study. Faculty have extensive experience in the industry and a low faculty/student ratio means students receive individualized attention. The classroom is a state-of-the-art commercial kitchen with the same equipment students will find in a professional kitchen in the field. Graduates of the program are eligible for ServSafe Sanitation certification through the National Restaurant Association. Mississippi Gulf Coast Community College offers culinary programs accredited by the American Culinary Federation. Students follow a sequence of courses to earn their AAS degree in as little as two years. Coursework covers areas such as menu planning and facility design to garde manger and principles of baking. Graduates are eligible for certification from the American Culinary Federation. Students have access to a commercial kitchen with modern culinary equipment. Faculty are experts in the field and have a variety of experiences in the industry.